Join the party, and receive updates on all things StarCycle Danville. Childcare is $6 per visit or 10 for $50. Jenn always had a passion for fitness and began her running career 20 years ago completing 3 marathons and 25 half marathons. After settling in Northern California 15 years ago, Jenn began seeking another exercise to help her recover from an IT injury. Because of her injury, Jenn explored new health and wellness formats including pilates, yoga, cycling, hiking, and coaching both her kids soccer teams. Seeing the positive effects of fitness both physically and mentally along with her passion for youth coaching, Jenn started a run club at her children’s elementary school inspiring hundreds of elementary students and parents to run together weekly. 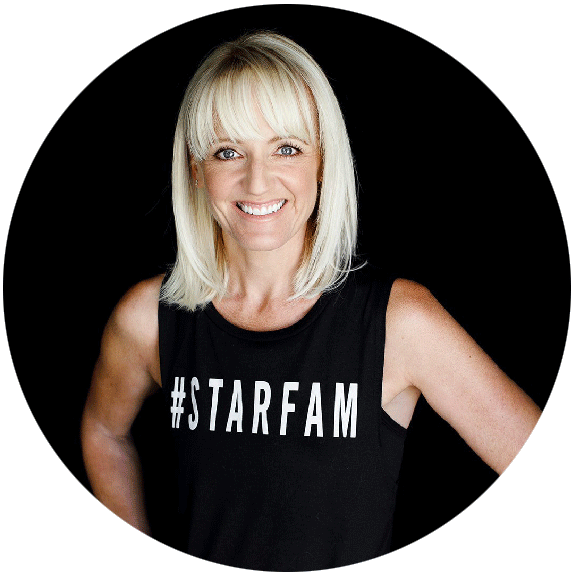 With 20 years of sales and marketing experience and her fierce love for health and wellness Jenn is so excited to open StarCycle Danville. She can’t wait to ride with you and help you push yourself to be your best on and off the bike! StarCycle Danville is located on Railroad Ave in downtown Danville, near Prospect Ave and the historic Danville Train Depot. We have a parking lot in front of the studio as well as plenty of free parking in the Clock Town parking lot across the street. You can cancel a reservation up to an hour before class. Late cancellations or no-shows incur a $22 charge to accounts with an unlimited monthly membership or the reduction of one class from a class package.